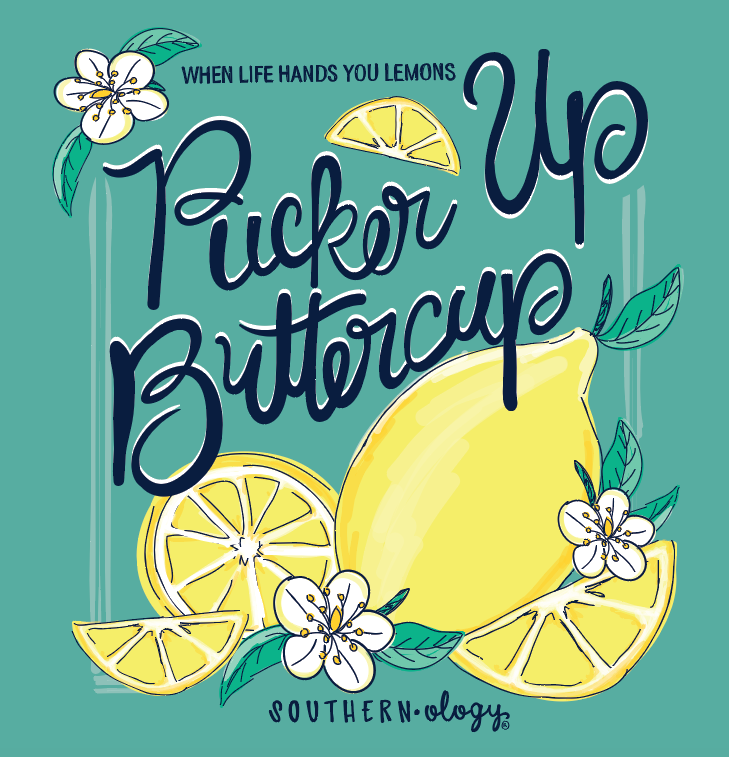 Here in the South we know, When Life Hands you Lemons, you better Pucker Up Buttercup. 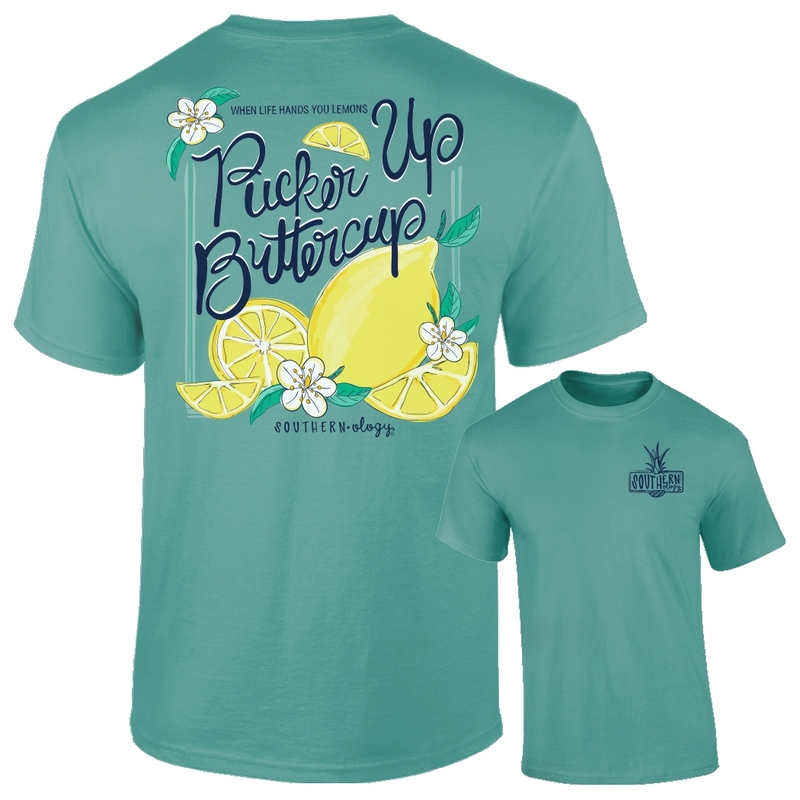 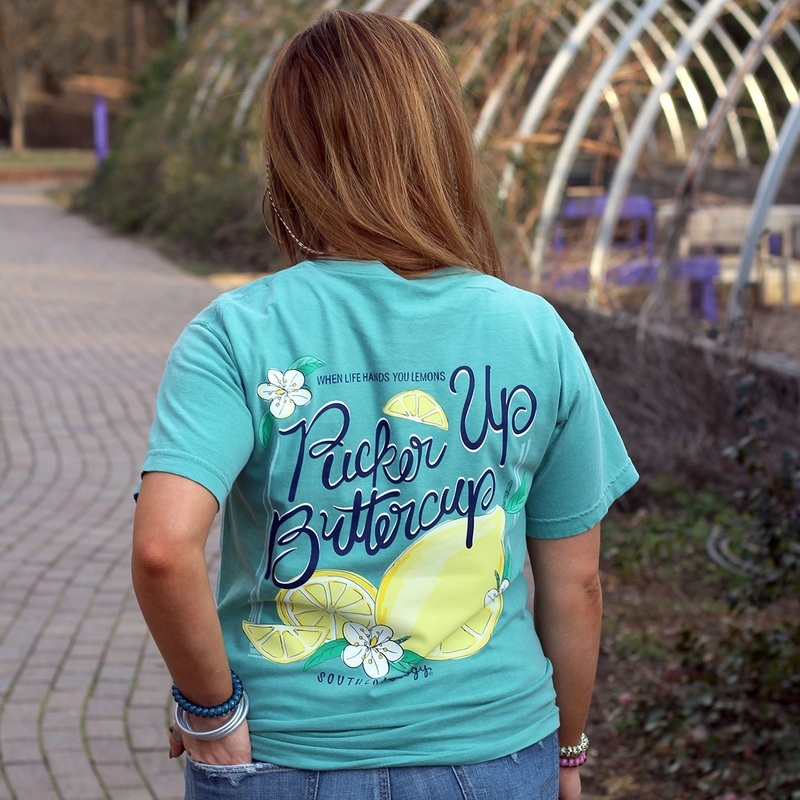 Featuring lemons and our Southern Sayings, this design is printed on a Seafoam Green comfort color t-shirt. 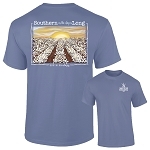 Every t-shirt in our Southernology Line, feels like home.